A magician brings a silk and waves it. 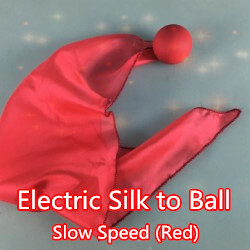 The silk slowly turns to a ball. The silk free and independent in the performer's hands! Performer can do other silk magic before this trick. 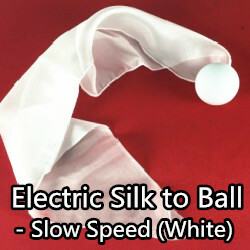 The silk is attached with a small magnet. No setup. 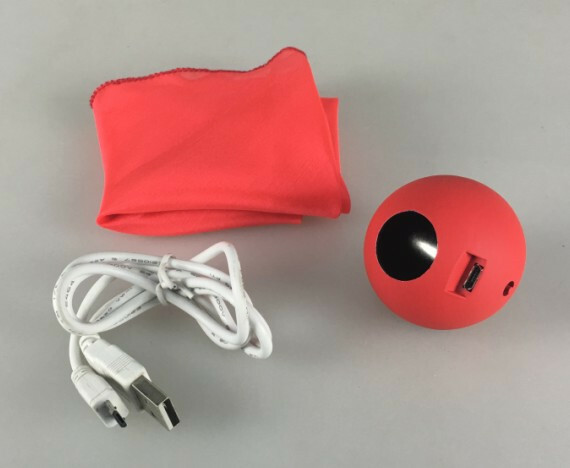 The axis in the ball is rolling by electric power.You just need to press a button. It comes with a ball, a silk, and instruction manual.